On a cold evening Zeb, a single mum in her thirties, is found wandering aimlessly on a remote road. She is dazed, confused and bloodied. She doesn’t know where she is, or how she got there. She has travelled far from home and someone has attacked her. Memory loss means she can trust no-one, and with her assailant unidentified, Zeb is desperate to be reunited with her son Matty, and to ensure their safety. But what will her search for the truth uncover? Will it bring answers, or more questions? And what if the person she can rely on the least… is herself? 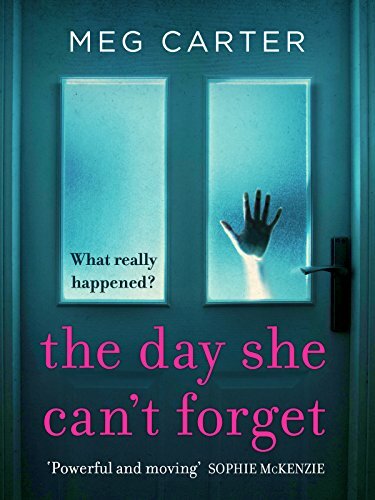 The Day She Can’t Forget is tense and evocative, perfect for fans of The Sister or Saving Sophie. Packed full of emotion, drama and mystery, it is Meg Carter’s second novel, following her bestselling debut The Lies We Tell. Beautifully written, really intriguing and building to such a powerful and moving conclusion.